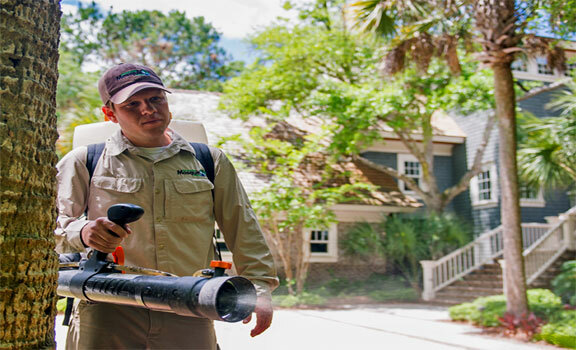 Our trained technician will treat the mosquito harborage sites surrounding your home with a fine mist that adheres to the surface and will effectively keep mosquitoes out of your yard for three weeks. The areas that we focus on generally consist of shrubs, patios, decks, swimming pool perimeters, fences and walls. 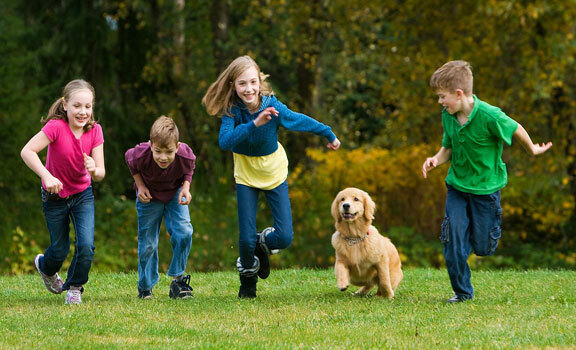 The barrier spray is EPA approved, once it has dried it is nontransferable to humans or pets. We do ask to stay out of the area while we are treating and 30 minutes afterwards to give the spray time to dry. Once it has dried you may return and enjoy your yard without those pesky mosquitoes! The technician will inspect your property and may notify you of potential trouble spots where standing water will increase the breeding capacity of mosquitoes. If we are unable to eliminate the breeding site we will treat accordingly with larvacide, which stops the mosquitoes from emerging into adults. Treatments normally take less than 30 minutes to complete and there is no need to be home. We will simply leave a door assuring that your service was completed successfully. Don’t forget to include Shoreline Mosquito Defense on your guest list! It can take months to plan your wedding or special event so don’t let a mosquito be a pest to your guest. About 24-48 hours prior to guests’ arrival, we will apply our barrier spray to insure that your event is free of mosquitoes and other biting nuisances. It dries within 30 minutes, leaving no odor or visible residue. It is applied long before your food and dinnerware arrive, so there’s no opportunity for contamination. 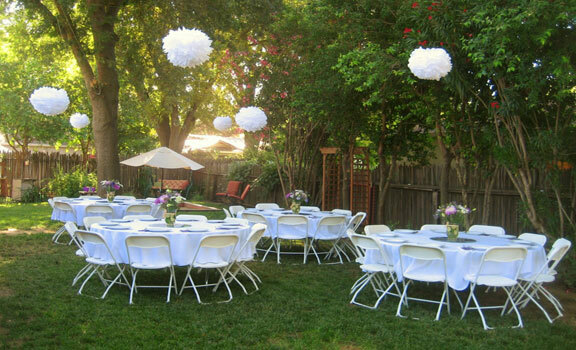 Your outdoor event should be remembered for the fun times, not for the mosquitoes. No bride should ever have to layer on the insect repellent, and the aroma of your backyard feast should not have to compete with smell of citronella candles. Mosquitoes can crash your party, let us make sure that this does not happen. Although our Barrier Protection Spray works effectively to eliminate mosquitoes, you may be interested in our all-natural alternative for mosquito control. Shoreline Mosquito Defense offers a treatment made of essential oils to eliminate pesky mosquitoes on contact and provide continued protection for up to 14 days. Due to the faster, natural breakdown of this product it has been proven to be most effective when applied every 14 days. Our traditional Barrier Protection Spray remains the most effective treatment, however, you may find that this all-natural option may be the right fit for you and your yard. As always, if you are not 100% satisfied with our service, we will guarantee your satisfaction with another spray as soon as possible. For the most complete and continuous protection against mosquitos, Shoreline Mosquito Defense offers an Automatic Misting System that virtually disappears into your landscape. This system consists of misting nozzles that will automatically spray a fine mist of botanical insecticide. The mist will move gently throughout your yard settling on the grass and landscaping, killing any mosquito it comes in contact with. 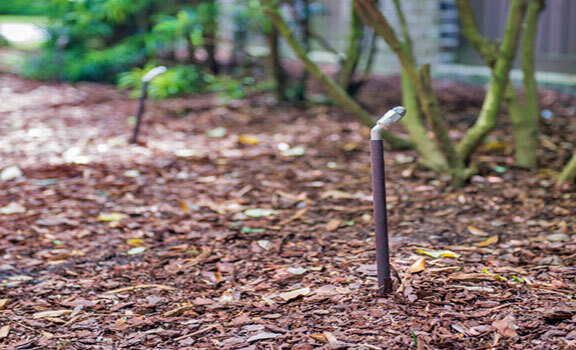 The misting nozzles are installed about every 10-15 feet around the perimeter of your property. The system will be programmed to automatically dispense the mosquito killing mist for 30-60 seconds 2-4 times per day. It is recommended to schedule the mist for dawn and again at dusk. A remote control for the system will also be provided in addition to the automatic settings.